Art and all artistic movements, represent a form of originality, including graffiti. 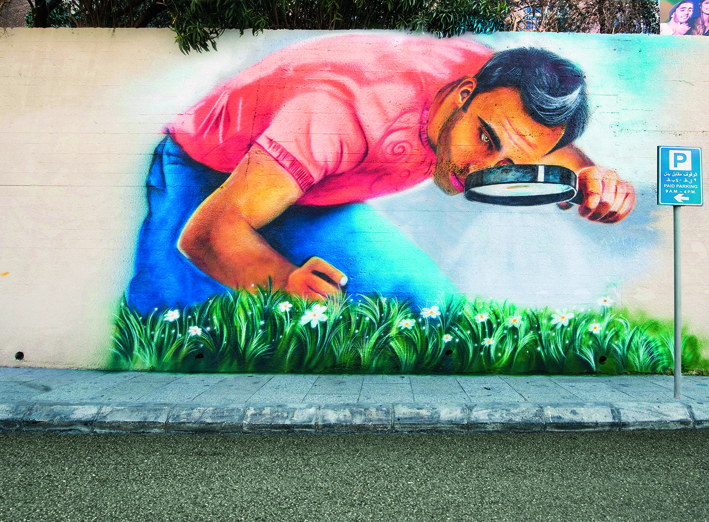 That’s why two Lebanese artists, Hady Beydoun and Yazan Halwani, celebrated originality, expressed their vision and their creativity through mural paintings in the streets of Beirut. Who is Hady Beydoun? I am a painter, a sculptor and Lebanese tattoo artist, born in 1974. With a major in Graphic Design from AUB, I work in my workshop in the capital. Why did you choose graffiti? The aim of all artistic work is to be shared with others. 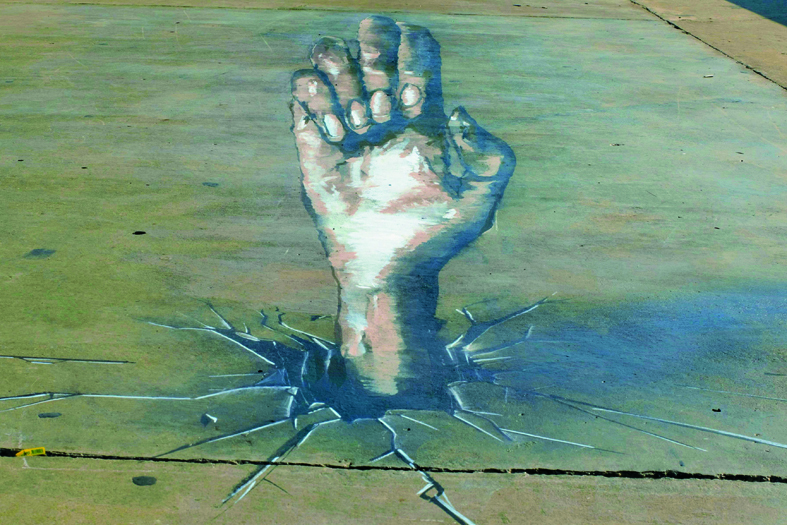 Art is a private language, but also universal and multi-cultural, mainly street art that reaches everybody, a large part of the population, compared to the art of the museum. What distinguishes you from other artists? Each artist has his own style that can be noticed in the conception of his work. My work mixes at the same time the hardness and the softness of life. It is a question of balancing the two sides. Where did you exhibit your works? My works have been exhibited at Jacques Ouaiss gallery in Achrafieh, at the loft in Antélias and at the Irrégulier in Badaro..
What are your goals? On a personal level, I seek to grow bigger in the artistic field and to explore the used techniques and solutions to problems. But in general, I wish to create my own school specialized in non- conventional art. Hand in 3D, work by Yazan Halwani. © Archives Yazan Halwani. Who is Yazan Halwani? Born in Beirut in 1993, I began my career at 14 years old, inspired by urban culture, and under the influence of the French hip-hop. I had pleasure illustrating large graffiti’s on Beirut murals, celebrating the beauty of the city. My artistic style is characterized by the unique usage of Arabic calligraphies and oriental figures through these walls. In January 2013, I succeeded to beat the world record of the largest graffiti that illuminates in the darkness. 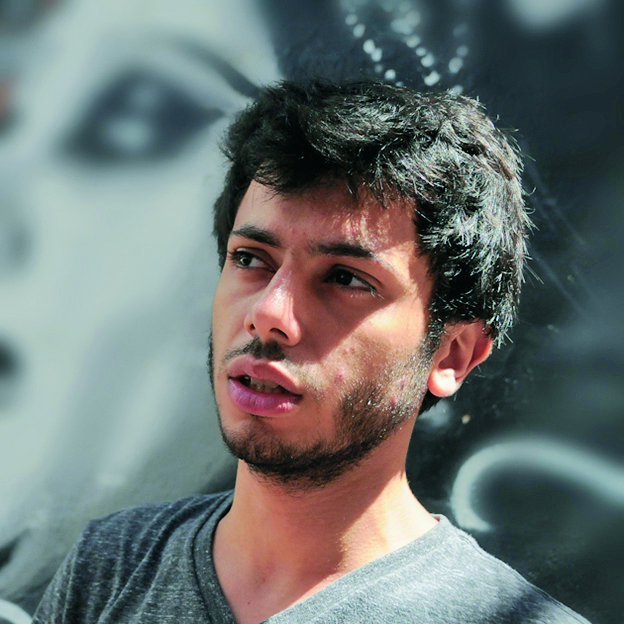 Yazan Halwani. © Archives Yazan Halwani. Why did you choose this artistic expression, graffiti? Considering graffiti as an artistic form, we can say it is the easiest form of art. With some paint, a little talent and free time, the canvas is born. What distinguishes you from other artists? I paint murals with my own ideas, emotions and sensations. Since feelings are different in every individual, I hope that my work will be distinguished reflecting my personality. Where did you exhibit your works? My works have been exhibited at the Institute of Arab world in Paris, at Volklingen Ironworks in Germany, at Emaar Gallery in Dubai, at the art forum in Singapore, and at the liquid Art House in USA. What are your goals? My ultimate goal is to paint murals that carry the urban people to other dimensions by making them dream. Interview by MIREILLE BRIDI BOUABJIAN.